The union representing thousands of striking Cami workers offered General Motors a comprehensive package on Sunday that could see the end of an impactful strike. Mike Van Boekel, the chair of Unifor Local 88, said both parties met for several hours over the weekend before the union tabled an offer to the automaker giant. "The package sits around investment and the guarantee of our jobs. All areas of economics were touched and a lot of our language issues," Van Boekel said. "Our entire committee and [GM's] entire committee put everything on the table. Hopefully, we can agree on most of the points and we can get this thing rolling." About 2,800 CAMI automotive workers in Ingersoll took to the picket line last week, striking over job security and General Motors' future investment into the assembly plant. 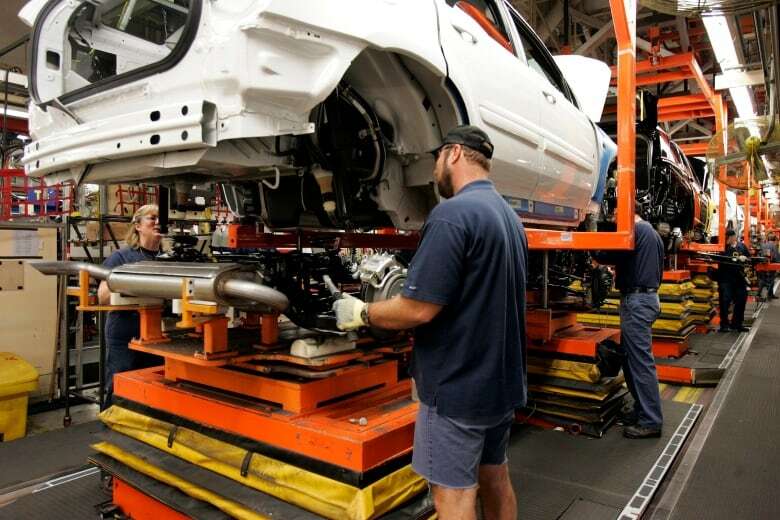 Among the list of priorities, the union wants the Ingersoll plant to be the last affected by any cuts in production to the automaker's Chevy Equinox line. Van Boekel said he expects to hear back from GM on Monday. Several Tim Hortons stops in the the small city have been hit hard by the strike. "We called them CAMI rushes," said Chantelle Kuhlman, co-manager of two of three Tim Horton's locations in Ingersoll. "With them being off work, we don't have the rush anymore." It's second nature for Kuhlman to prepare a familiar, hefty order twice a day for dozens of CAMI workers in Ingersoll. However, both of her stores have been hit hard, losing hundreds of dollars since thousands of CAMI workers took to the picket line last week. Kuhlman is hoping for a settlement soon, but she's also preparing for the worst — even if it means hiring some potentially former CAMI workers in the coffee shop. "It's really frustrating. If you don't have those jobs, a lot of people are going to be without jobs," she said. "We [may] have all these people form CAMI that aren't going to have a job so where are the adults going to go?" As for Van Boekel, who's been on the front lines himself, he's afraid to see what would happen to Ingersoll if a preferred negotiation isn't reached. "The morale is very high [right now]," he said. "But if this plant leaves, the whole community of Ingersoll becomes half a ghost town pretty quick."